New Zealand 2015 – a trip that unwittingly shaped our lives into one we never need to escape from. The years have treated us well and we often look in the mirror and gasp at where the years have gone – nearly 30 years married – really? Where did that time go? 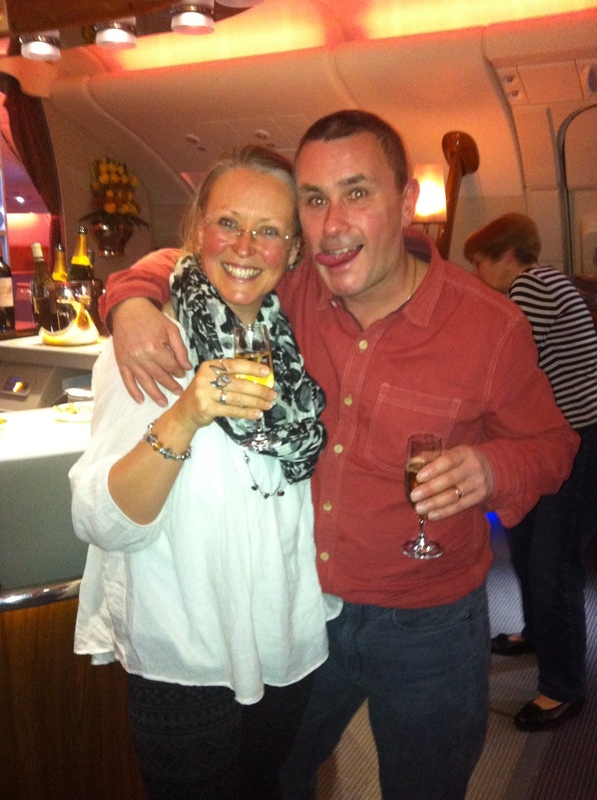 In October 2014, we started to plan a celebratory trip for our 25th Wedding Anniversary and decided it was a significant milestone to tick something from our Bucket List. And New Zealand was on both of our lists. 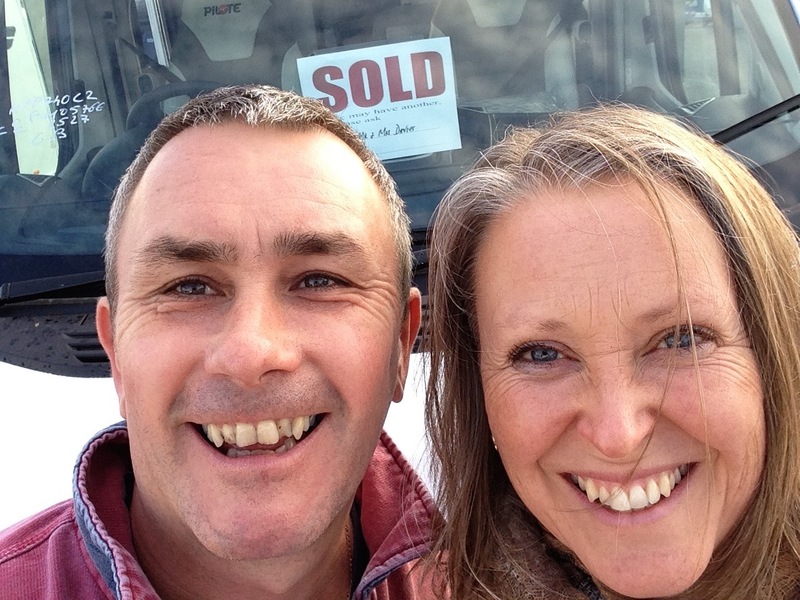 After some deliberation, we agreed that the best way to experience it was to hire a motorhome, enabling us to get into the real heart of the place. 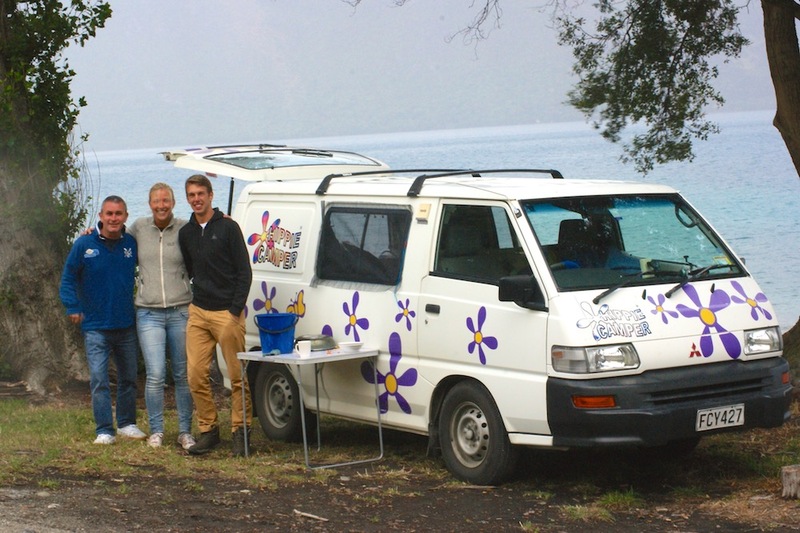 We splashed out on a six week tour and hired our van from Iconic Motorhomes. After years of running three businesses, having 12 hour days and working 7 days a week for far too many years, we agreed we were worth it. With my love for organisation we had ourselves a rough route and highlights. One of these were tickets for ICC Cricket World Cup in Wellington and, high on the list was a White Water Rafting adventure somewhere along the line. What a great trip this was going to be. One of my dear friends, the wise old bird that she is, said that New Zealand would have a profound impact on us – although we were not expecting her prophecy to evolve as it did. Prior to us leaving for our trip, I shared some concerns about how we would cope for such a long time in a 7 metre van. We had 25 years together as a couple yet with a certain amount of independence thanks to our careers – and now, suddenly we’d be in each other’s space – how would we fare? Would my high maintenance tendencies be all too much to bear? After our 24hr flight to Auckland and then onto Christchurch, we were ready to collect our temporary home – Baz we called him. We loved the idea of travelling with our home, allowing us to explore every nook and cranny. A bit of wild camping was on the agenda too and thanks to a great freebie app CamperMate we were able to source some incredible spots along the way. That sense of freedom was as potent as the fields of lavender in Provence; powerful, heady and very here and now. A real sense of the canary released from its cage as it flew with wild abandon and joy. That was how we felt in our early days as we chalked up our experiences. And some of those experiences are now priceless memories, sunk deep into our subconscious photo album. 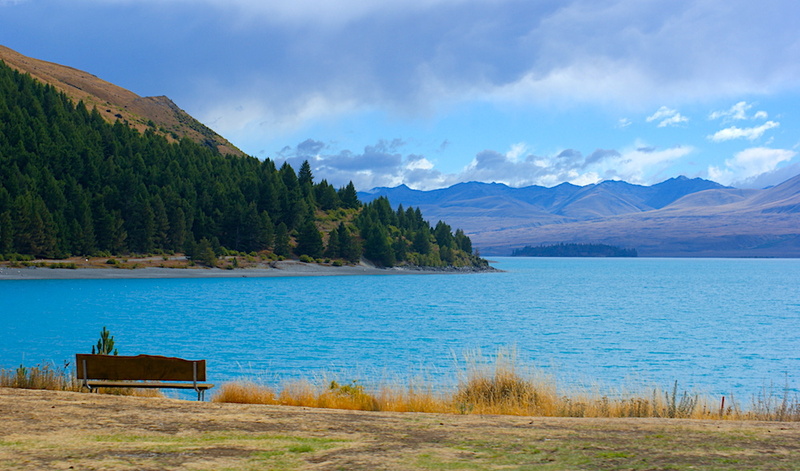 I will never forget my first sight of Lake Tekapo en route to Queenstown. The colour of the water was indescribably blue, a blue that I’d never set eyes on before. And it was one of the first times I remember crying, feeling so overwhelmed at the beauty of it. Now I use my tears as a true measure of how a place feels to me and how its beauty gets caught underneath my skin. As we sat in comfort in our motorhome, we were amazed by the eclectic mix of campers. 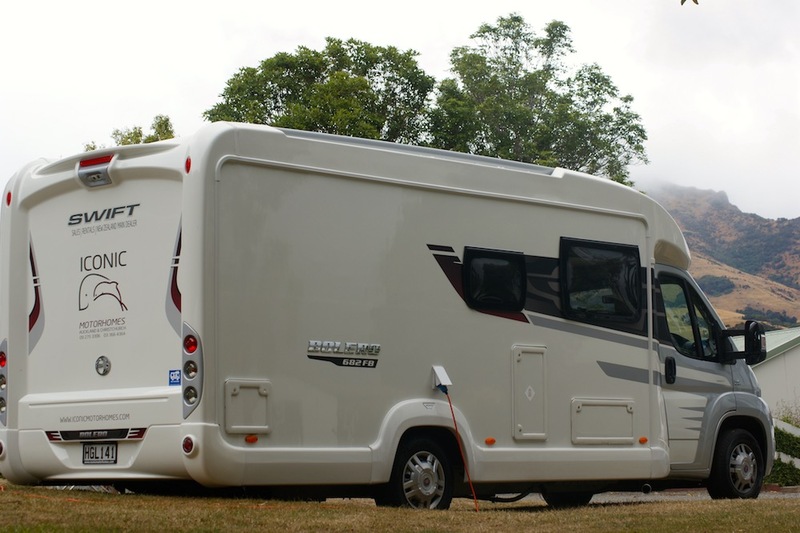 Motorhomes like ours, vans, trucks and cars – each with their own home-from-home touches, albeit sometimes a bit rustic. Camping is just a way of life here for locals and visitors alike and it was starting to stir something deep within us. I loved the wildness of everyone ‘getting away from it all’ and how we all shared a love of our natural environment. And sometimes those campers had a real influence on our journey because of their stories. And sometimes they became life-long friends. Seeing how people travelled in New Zealand was a complete eye-opener. Sheltered from the opportunity to travel by our corporate hamster-wheel, we learnt how life outside package tours really thrives. And more importantly travel provides an authentic connection with life, nature and culture. Don’t get me wrong we had some very nice short breaks although nothing with a genuine submersion into a country’s customs. And our motorhome journey exposed us to this connection and we were hooked. I knew that our holidays, from this point forward, would change beyond all recognition. My other profound insight was how nourishing I found the transience of our travels. Whilst I love people and their experiences, as an introvert I also love my own company. I remember when Myles asked me how I found our NZ trip – for me it was the freedom to move I enjoyed most. And bear in mind that this comes from the woman who always needed roots and direction. Yet this trip taught me about my love for exploration, how much I adored going to a new spot every day and the fluidity that our lives were richly abundant with. I relished the space we found in between our connections with other travellers and, paradoxically enjoyed the distance we could create if we needed it. What a joyous realisation this was about life on the road. And what of the ‘living in a box’ concern, I hear you ask? Well I had no reason to worry as we soon found our groove. When you have a deep relationship, it matters not a jot whether you are in the same room or apart, you have a thread that binds you as fine as silk and as strong as metal. And whilst it wasn’t all plain sailing, our ability to work out our niggles brought us closer together. I wasn’t a nightmare and I surprised myself how easily I adapted to the small space. By the end though we were both ready to go home. Our six weeks had been amazing although we felt it was time to return. 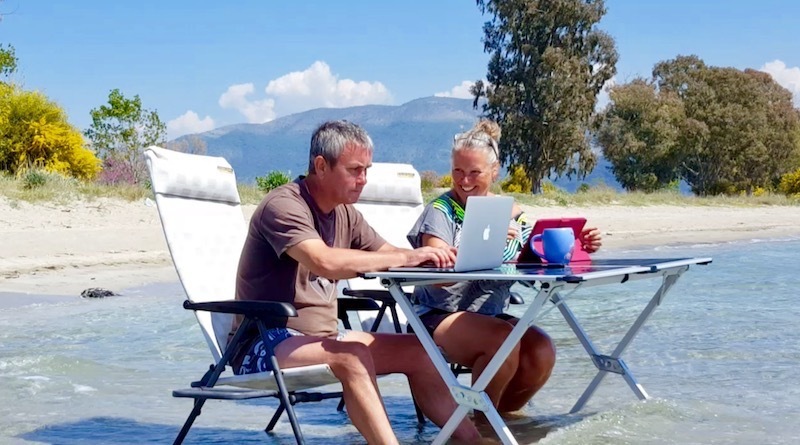 We often reflect back on our highlights and experiences and really do feel that we celebrated our 25 years together in style and honoured our marriage – without doubt. So how did this trip change our lives? In isolation it was easy to put our New Zealand trip into a ‘bucket list’ box and see it for what it was. Super memories and incredible experiences. Although when two weeks later, your introvert husband who had clearly been mulling things over said, “How do you fancy going travelling for a year”, you could have knocked me down with a feather. Until that moment, life had resumed its normal rhythm. I returned to the school where I was teaching meditation and my weekly volunteering job at the Donkey Sanctuary. Myles took to his office and had the odd game of golf. And I got back to my healthy regimes. It was a defining moment. The world stood still as I took in Myles’ question and contemplated the enormity of what he was suggesting. You see we had got ourselves caught up in a new hamster wheel. Whilst our move from the stress of our corporate days had to some extent ceased, we had created a new norm with a new wheel in Somerset. Whilst many of our routines were nourishing ones, we both still felt the chasm that our New Zealand trip had filled. We didn’t feel complete and we found ourselves drawn back into the Matrix of conformity, where Sundays were set aside for roast dinners and Monday-Friday norms were honoured for fear of failing our peer group expectations. And it was New Zealand that showed us how travel could enrich our lives; its simplicity, choice and freedom all filling that gap which had crept into our lives. New Zealand suddenly became a profound event and not the extended holiday we had imagined. So what did we do with this realisation that our missing jigsaw piece was travel? Well our circumstances supported Myles’ ‘gap year’ plan giving us the budget to travel and get our ‘house’ in order. Then after our year we could come back to truly settle down with travel being the centre-piece of our lives. 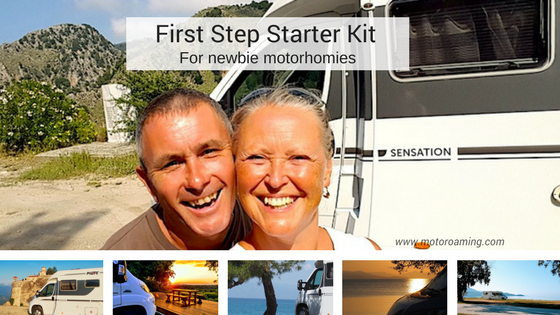 From that point our search began for a motorhome that would suit our needs. Yet a weird mix of excitement and fear crept into my mind as I battled with the shadow of doubt and anxiety. It felt like such a big change; letting go of so much. Was I ready to be a nomad – albeit for a year? My fear played havoc as ‘What if’s’ clouded my mind and storms of anxiety brewed in my heart at the prospect of leaving everything behind. Although the turning point was my mum saying how she had regretted not doing something similar with my dad years back. Her need for security and roots were so strong that she couldn’t leave. “Life is too short not to,” she said supportively. So the decision was made in that moment – we were going to make this happen. Within four months the van was ordered, delivered, insured and all our material ties severed. Plans were in place with military precision and checklists in every room. And on 4th March 2016, we said our goodbyes and set off for the European sunset with a year of adventure. Although neither of us said it, we wondered how we would feel after six weeks, given our New Zealand wall? In fact it was a positive milestone, a moment of realisation. The awakening you get when suddenly you find a rhythm that you have been searching for all your life. An ease, a simplicity and a sense of happiness that filled every cell in our body. I knew that I had found my missing jigsaw piece and that this was going to be so much more than just a gap year. In the same way that New Zealand was always more than just a holiday. I fell in love with the simplicity of life on the road. I woke up to the notion that material things don’t define life or happiness. I connected with all the things that really brought out the best in me; like writing, photography, nature, learning about different cultures and quite simply being! Watching sunrises and sunsets, feeling grateful for each day that graced my life, gaining a new sense of purpose. We found digital work that embraced our talents and the world became brighter, lighter and multi-dimensional. Sounds became deeper and life’s experiences more meaningful as we delved into languages that were alien to us and cultures that offered us an alternative perspective. The more I practise the luckier I get. Over the years we have worked our fingers to the bone to reach a position of comfort which by its very nature has been difficult and often painful. Although our commitment to our long-term future has paid off and despite a nervous break down or two between us, we have rallied through, become stronger and more determined to be in that state of happiness and contentment. So luck is not the driver of our chariot – we are and continue to be so. With travel as our teacher and the world as our classroom, we look back at New Zealand and all that it showed us and realise how pertinent that experience was to the rest of our lives. And however long we are blessed to do this, we will always be thankful to The Land of the Long White Cloud for creating a fire in our bellies for exploration and the inspiration to change our lives to one that we no longer need to escape from. Change is possible, fear can be overcome and life can be the happy place that we all desire if you have vision, work hard and have the determination to turn your dreams into reality. Absolutely loved reading that. I have a camper van – I had a pop up roof installed last summer. My first trip to France was 2 weeks in the Autumn when mast campsites were closed. Then two years ago went to France again for three weeks – the first nine days with a friend – stayed in several hotels then after she left I camped every night – wow! Then August last went to France again fir 5 weeks and spent every night apart from 5 ( stayed at Astrofarm just outside Confolens) camping. At Astrofarm spent the nights stargazing and during the day exploring the locality, sorting out my van and a day trip to Oradour sur Glen – a hideously tragic place : the entire population systematically murdered by the Nazis in the 2nd World War. Then I knew wild camping was next. So have done some in Wales. January 2019 I am off to New Zealand for 3 months to explore North and South Island. I am doing this on my own though my older daughter ( who is studying in Prague) will join me for four weeks if she passes her exam in December / January. My younger daughter graduated this summer so us looking for a graduate scheme so is not joining and hasn’t been converted to this kind of trip. Maybe one day …. 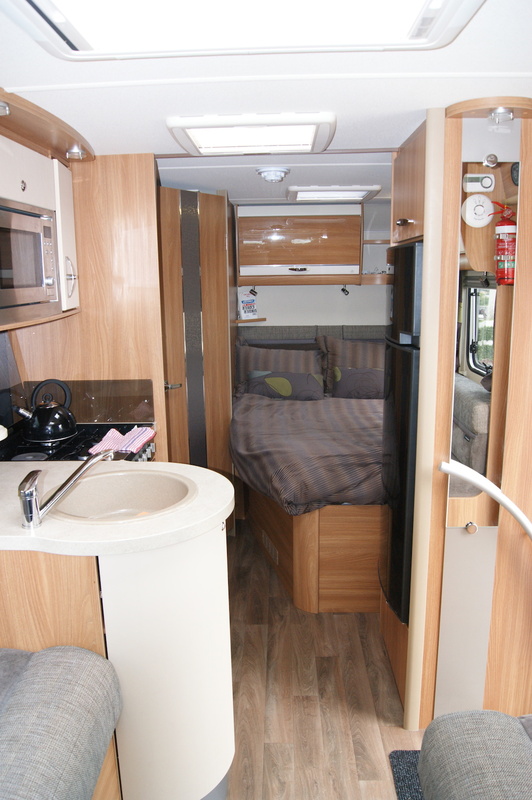 I am going to buy a campervan with either a pop up roof or high top because 3 months travelling around, even though it has their summer, I will want to be able to stand up in it. So my first long adventure in a van. I can see how you were hooked because I am so happy when I get behind the steering wheel of my van. Transformed ! I do want do Europe – Eastern Europe, drive to Prague, Portugal, Spain, Scandinavia and so on. So laybe we will meet and chew over our travels – swop van recipes …. I have a website from when I made cakes but stopped doing that some years ago though will lake for friends. Once I have worked out how to load photos on it ( I have always asked the creator of my website to do that for me) I will also use that : tantalising peop’e With my travel bites. So I am currently very excited – by Christmas I will be unbearable ! Hi Susie, we wait to be inspired by your trip next year and yes it would be lovely to meet up and share stories. Have an amazing time and creates loads of beautiful memories. I see you are travelling to NZ next year and I would like to offer you a place, on 10 acres, to park up for a few days if you want to look around the North Canterbury area (Christchurch is the nearest city about 30-40 mins away, I am north of there) for a few days. It will save you camping ground fees which can be expensive and crowded over summer. Are you on Face Book or have a website I can reach you to give you my address/phone number if you can’t get my email off here? I wish you well on your travels. Anne Hunter. I realised i had spelt my email address I correctly as I had pressed submit ! Great story, you had me in tears also with your description of the water at Tekapo. Oh how I miss that view. Great Article which shows that with determination and love we can all achieve our dreams. Such an amazing trip and so good to see how your lives changed from the experiences. Looks like a fantastic location to visit. What an inspiring story Karen! 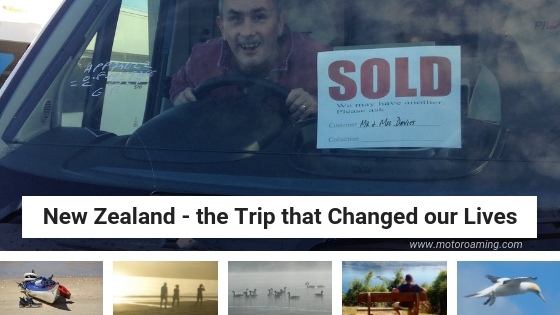 The way how your six weeks in New Zeeland has changed your life let me thing on the trips that have changed my life too. It was after a trip to Thailand that I realized that I wanted to spend my entire life with my then and actual husband and it was after a move in the US that I decided to become a mom. Travels are so impactful on our lives that we often underrate their importance. What a wonderful way to start your travel journey. When my husband and I got married we took a similar trip to Australia for 5 weeks in a van. It’s was tiny, but one of the best trips we’ve taken in our 13 year marriage. We love life in the road and hopefully in 4 years time, we will be doing what you are doing. Inspirational! Thanks for sharing! You’re very welcome Jana. It’s a wonderful life for sure. Have fun when you eventually get going.